An incompletely dominant gene conferring resistance to Puccinia hordei, Rph14, identified previously in an accession of Hordeum vulgare, confers resistance to all known pathotypes of P. hordei in Australia. 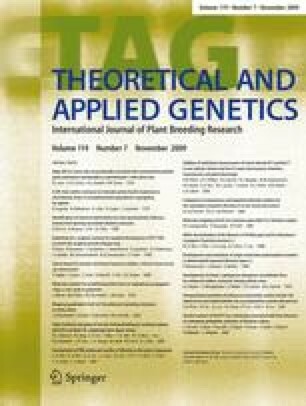 Knowledge of the chromosomal location of Rph14 and the identification of DNA markers closely linked to it will facilitate combining it with other important leaf rust resistance genes to achieve long lasting resistance. The inheritance of Rph14 was confirmed using 146 and 106 F3 lines derived from the crosses ‘Baudin’/‘PI 584760’ (Rph14) and ‘Ricardo’/‘PI 584760’ (Rph14), respectively. Bulk segregant analysis on DNA from the parental genotypes and resistant and susceptible DNA bulks using DArT markers located Rph14 to the short arm of chromosome 2H. DArT marker bPb-1664 was identified as having the closest genetic association with Rph14. PCR based marker analysis identified a single SSR marker, Bmag692, linked closely to Rph14 at a map distance of 2.1 and 3.8 cm in the ‘Baudin’/‘PI 584760’and ‘Ricardo’/‘PI 584760’ populations, respectively. The senior author would like to sincerely thank the Grains Research and Development Corporation for the provision of a Postgraduate Research Scholarship that enabled these studies to be conducted. The authors would like to thank Mr M. Williams and Mr P. Kavanagh for valuable technical assistance in the course of this study, and acknowledge the support provided by the University of Sydney.